Casual style with a twist. 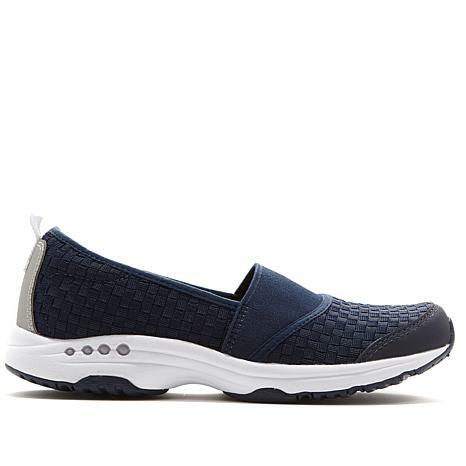 Combining woven and stretch fabrics, this sporty slip-on looks great on and fits perfectly, too. The bottom features the infamous Traveltime construction, where the cushioning gives your feet just enough support to wear all day long. When I saw these red shoes, I knew I had to have them. I have always loved wearing a red shoe but I don't often find them in a true red. They fit true to size and no slipping off the back of my heels. The fact that they come from Easy Spirit was all the information that I needed. 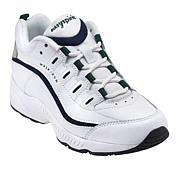 I've worn them several times and they are very comfortable. I have never had a more comfortable shoe. Took them right out of the box put on and they fit to a tee. I have gone back and ordered the other colors. I missed out on the red which is a bummer. Maybe it will come back in stock. I'm going to be checking. You will love this shoe. Perfect! 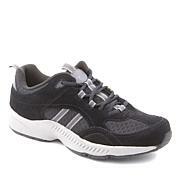 Very comfortable, supportive for walking. Best of all, they're RED! I can't say enough about the comfort of this shore. True to size. The wide elastic gore at the top of this shoe made it very easy for me with my very high instep to get into this shoe, however now that it is hot weather, my feet tend to swell badly so it makes this shoe too tight for my comfort. 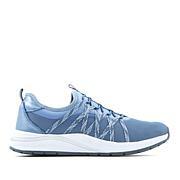 But its a great lightweight flexible shoe. I ordered the black ones in sz 9M and wish I'd ordered the wide size now. I will keep them and wear them this Fall. When you're on the run, easy zips and long-lasting arch support are a must. These slip-on sneakers have a breathable material that keeps up with you. 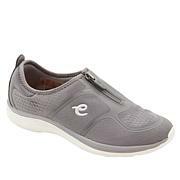 Plus, Glossy's e360 gel system technology helps the foot rebound and provides extra support and cushioning.